The BKF Repair utility can repair any corruption found in a .bkf file. It repairs any major or minor corruptions found in the Exchange backup file. It then recovers any lost or deleted mailbox data. Use this tool to recover mailbox items like emails, attachments, presentations, spreadsheets, Word documents, contacts etc and restore them. 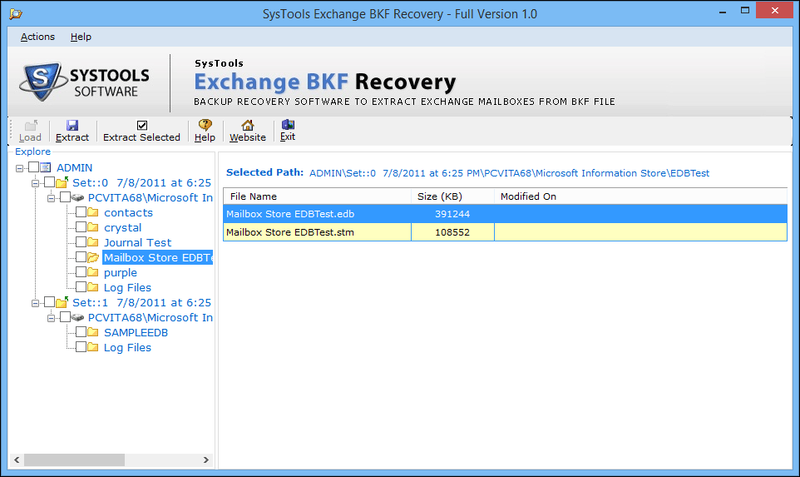 The Exchange BKF Recovery tool repairs data as soon as the backup file is scanned into it. It ensures complete data recovery of Windows Backup file containing data from Microsoft Exchange Server mailboxes. This includes retrieval of Log File Data, STM, Exchange database files and the entire contents of the server mailboxes. The tool provides an added feature to view all the contents of a backup file before extracting data from it. 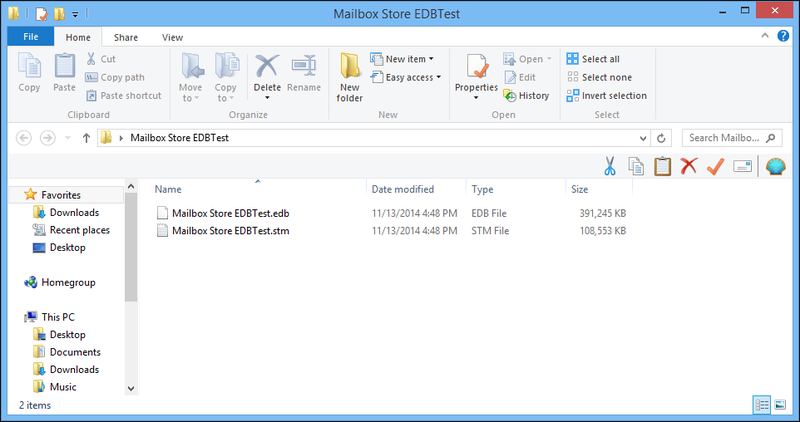 All the mailbox data and Exchange Server files are available for viewing after the BKF file is uploaded into the tool. Use the checkbox next to each item to select files or folders that need to be saved on the local machine. Extract complete contents of a Backup file that contains Exchange mailbox data. Save the files anywhere on the system or carry them elsewhere. Start to restore items with just a click of a button. Make sure that the correct files are being extracted by verifying them on the software panel. All backup file data is available for preview before use. 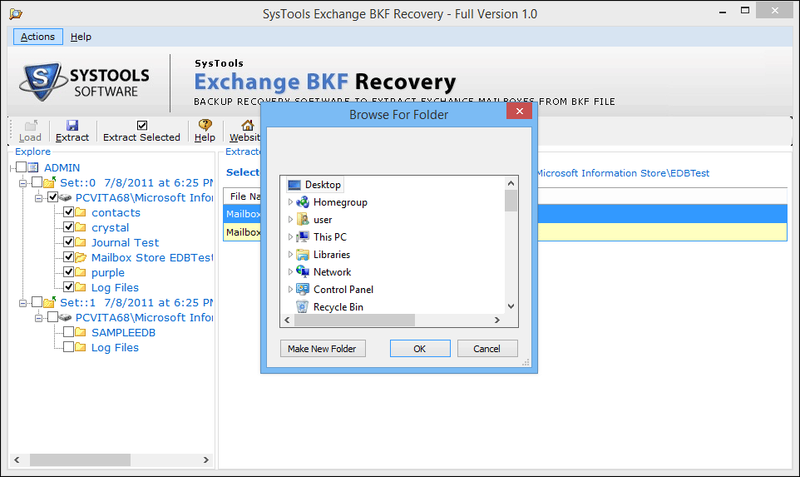 The BKF Exchange restore tool ensures data integrity and folder hierarchy of all backup data. The Exchange server files are found in the same exact folder as they were in the original backup file. There is no data loss and MS Exchange Server data is restored without any issue. Make sure the drive to which the data is being saved has ample space before extracting. The Exchange Backup Recovery tool has an easy-to-use, user-friendly panel that can be easily used by all. It has easy access to the navigation bar. It uses a tree structure to display contents of the .bkf file on the left pane. The buttons are simple and help to perform data restoration effortlessly. Even a non-technical person can use the software panel with ease. Can the software work with the latest Windows 10 operating system? Yes, the software can work with Windows 10 operating system. It is compatible with Windows 10, 8.1, 7 and below version. Is there a provision to restore data from multiple BKF File at a single time? 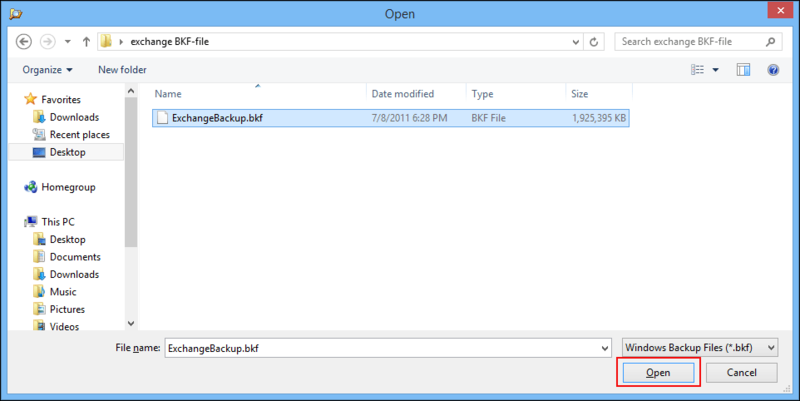 No, the BKF recovery tool does not work with bulk files. It can only extract data from a single .bkf file at one time. Can the repaired files be exported back to Exchange Server using this tool? No, the tool can not move back the restored files to the Microsoft Exchange mailbox. 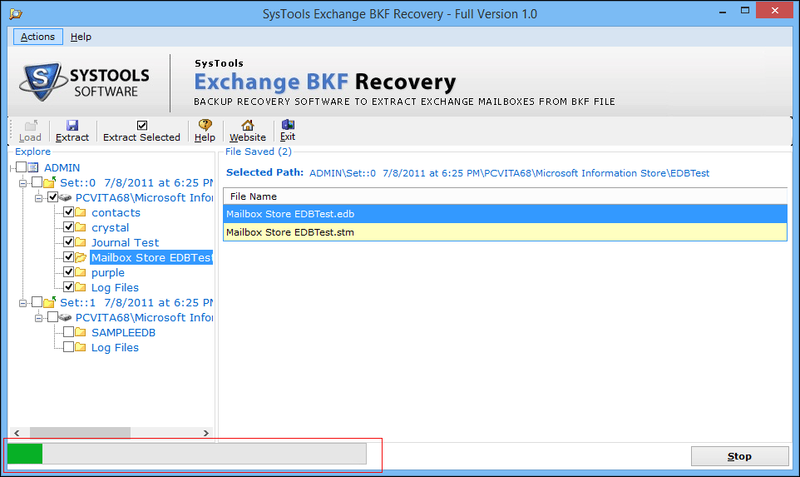 Can the Exchange Backup Recovery tool save the BKF file in a healthy format? No, the tool only repairs and restores data from the Backup file that contains data from Exchange Server mailbox. It does not repair and save the BKF file in any format. It can be used only to extract data and not to repair the .bkf file. What will be the time taken to repair Exchange Server Backup File? The time taken to extract data from a backup file for Exchange mailboxes may differ according to its contents. The duration of extraction process varies according to the data in Exchange Server backup file. Steps To Restore Exchange Database From Backup? 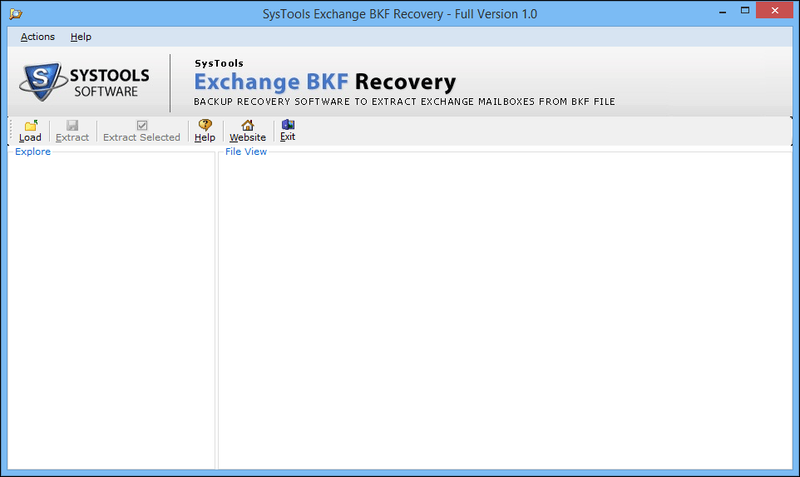 Firstly, download and install the Exchange BKF Recovery software. Then, launch the tool by typing the name of the software in the Search Box of the Start Menu or any folder explorer window. 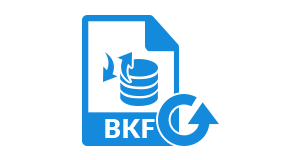 Now, upload the .bkf file into the software by clicking on the Load button from the top navigation bar. 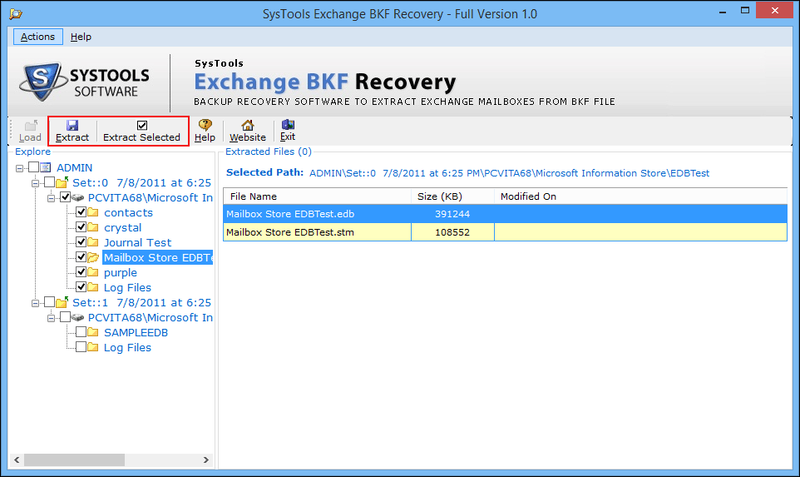 Next, Browse to the folder location where the Exchange BKF File is saved and click on Open. 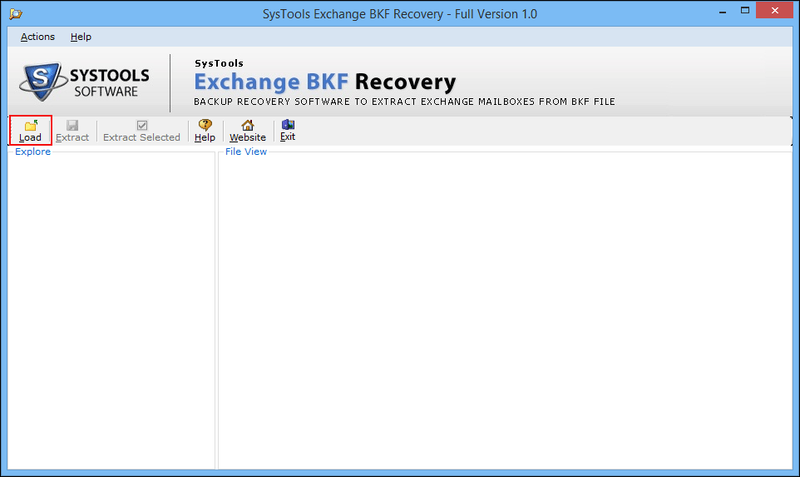 After that, the tool will start loading the contents into the BKF Exchange Repair tool. Now, all the contents of the .bkf file will be displayed on the software panel. Next, select the items that need to be extracted. If complete backup needs to be restored, then simply click on the Extract button. If selective items need to be retrieved, then click on Extract Selected button. Then, Browse to the folder path where the output Exchange Server files will be saved. Now, the export process will be initiated. Wait for it to complete. An instance will be created with the Exchange Server file names in the designated folder. Finally, a message box will be displayed indicating the completion of the extraction process. Make sure to check the files in the destination path set previously. Verify that the complete extraction has taken place successfully. "I have just started using this product and am amazed by the results. I was able to restore the entire content of Exchange Server backup file. It so happens that my lost and deleted emails were also recovered after using this tool. I am delighted to have purchased this tool and have given it to my data centre team to repair backups and restore contents." "I am a tech-savvy person but still was not able to repairs errors that prevented me from accessing backup data. 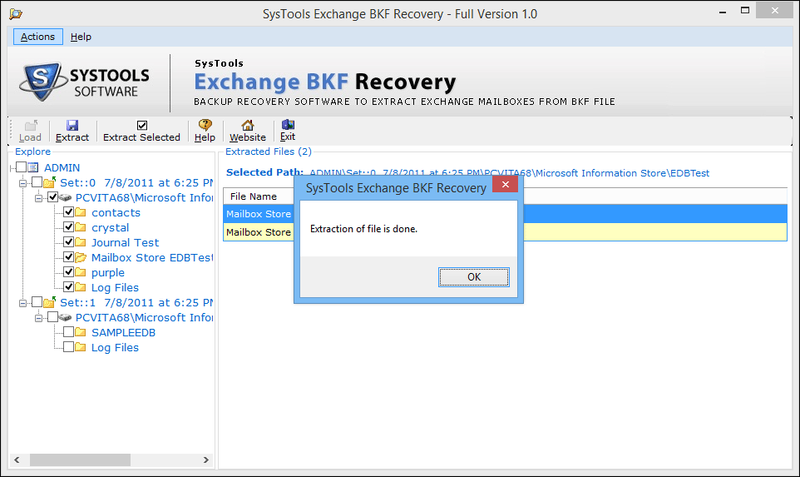 I have tried and tried for months and nothing worked up until I found the BKF Exchange restore software. I wanted to view contents of backup stored some 7 years ago. I had saved all my mailbox data in a backup file but was not able to view contents of backup file data. But this software helped me not only recover data from the backup file but also restore contents from it. Thank you!"